ASML is a key player in the fast-paced industry that makes it all happen, as we are one of the world’s leading manufacturers of chip-making machines. We provide chipmakers with hardware, software and services to mass produce patterns on silicon, increasing the value of a chip while lowering its manufacturing cost. All of the world’s top chip companies are our customers, so chances are that every single day, you use semiconductor technology that was partly made on our machines. Our key technology is the lithography system, which brings together high-tech hardware and advanced software to control the chip manufacturing process down to the nanometer. Our customers include all of the world's leading chipmakers, like Intel, Samsung, TSMC and GlobalFoundries, who use our product portfolio to manufacture a wide range of semiconductor chips. 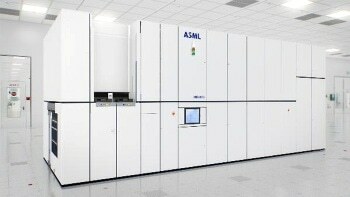 ASML has 19,000 employees worldwide. We are headquartered in Veldhoven (The Netherlands) and have over 60 offices in 16 countries.